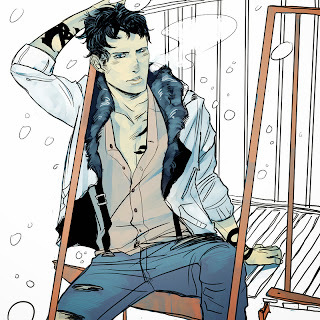 Cassandra Clare and illustrator, Cassandra Jean, have collaborated to make a hot-guys-of-the-Shadowhunter-world calendar. Catch up on all the calendar pictures here. More calendar art! 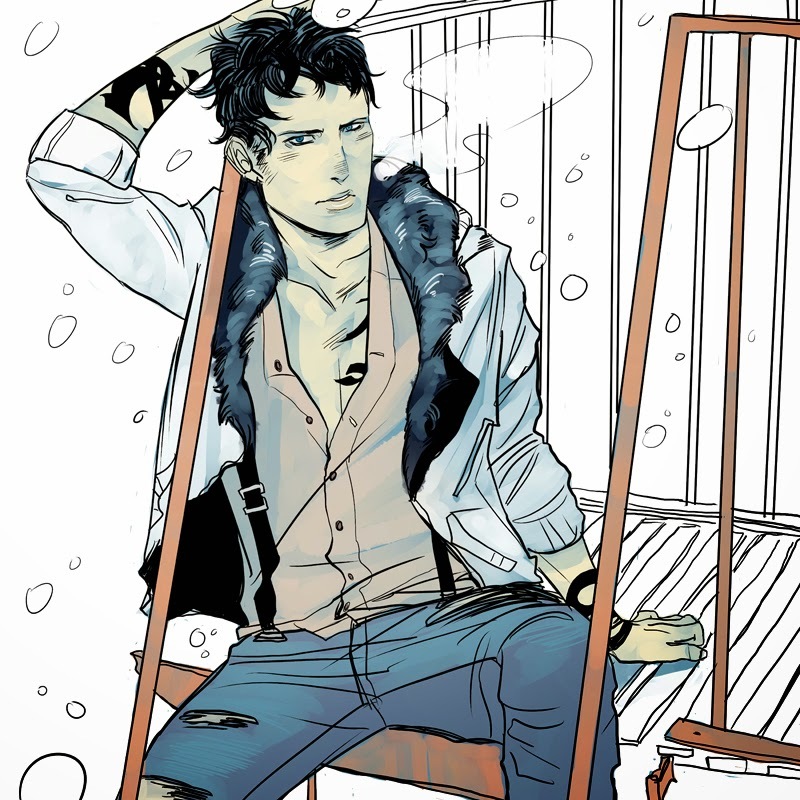 So the beautiful Cassandra (NOT me, Cassandra Jean) and I have been collaborating to create a calendar of the TMI/TID/TDA/TLH boys — Men of the Shadowhunter Universe, I guess — and while I don’t know what we’re going to do with it yet, here’s Magnus/Alec as February 2014, celebrating Valentine’s Day*. More soon! *But not, like, the way Valentine celebrates it. Will, being hot in a cold way in March. 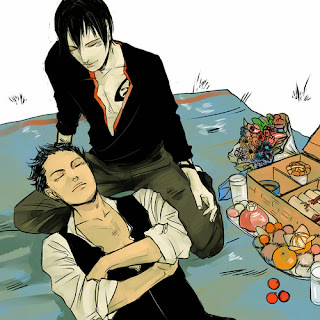 By Cassandra Jean. 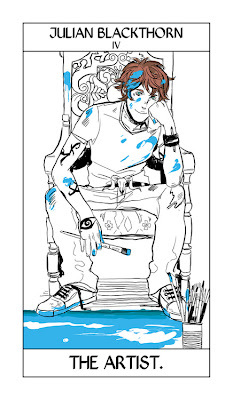 Cassandra Clare and illustrator, Cassandra Jean, have collaborated to make a hot-guys-of-the-Shadowhunter-world calendar. 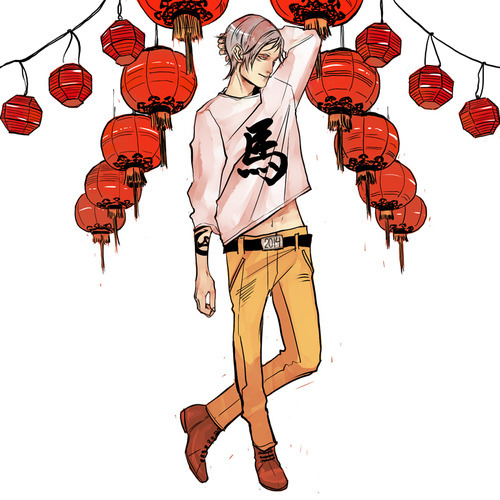 Above is Jem Carstairs representing January 2014 for the Lunar calendar. January Jem! 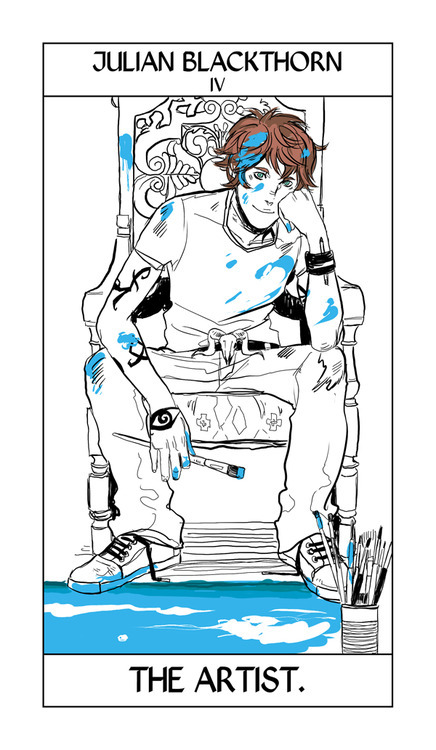 So the beautiful Cassandra (NOT me, Cassandra Jean) and I have been collaborating to create a calendar of the TMI/TID/TDA/TLH boys — Men of the Shadowhunter Universe, I guess — and while I don’t know what we’re going to do with it yet, here’s Jem as January 2014, celebrating the lunar New Year. More soon! splat prize pack consisting of 4 Rebellious Colour Kits (Aqua, Pink Fetish, Luscious Raspberries, Blue Envy), 5 Splat highlighting chalks (Dusty Rose, Silver Moon, Mint Candy, Violet Sky, Midnight Blue) and 5 washables temporary colours (Totally Red, Hot Pink, Purple Swag, Electric Blue). 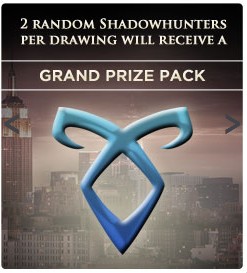 Go sign up to become a Shadowhunter on the Canadian website now! Just make sure that when you sign up, click "Login here if you live in Canada." Check out the new site: BecomeAShadowhunter.com. 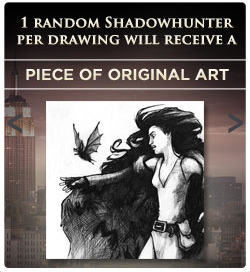 This site has tons of give-aways (US only). Can you believe it?!? On March 27th, it will be 6 years since the very first book of The Mortal Instruments (City of Bones) came out! This fandom has grown so much, especially this past year! Back in November, we asked you when you thought the best day for a celebration would be. 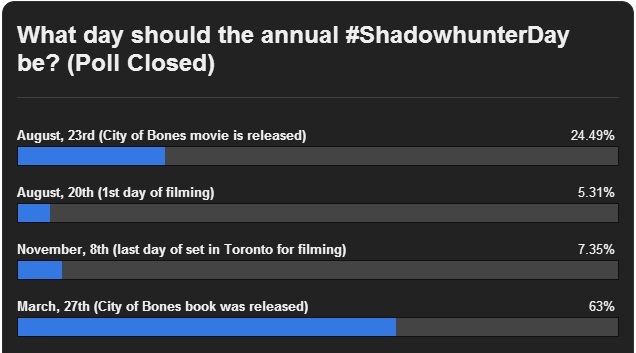 A lot of you thought that March 27th (also known as: the day our fandom was born) would be the most ideal. This month has been crazy; we've all been laughing, crying then mourning and rejoicing over Clockwork Princess. 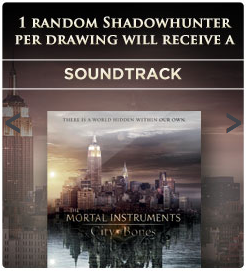 Meanwhile, there's more news about City of Bones merchandise and a new trailer out at WonderCon. We take our favourite quotes and make beautiful edits. It's always so fascinating to see the different interpretations. I love tweeting along side this fandom because you get what I'm talking about when I say "BTA" and the best thing is that TMI no longer means "Too Much Information." 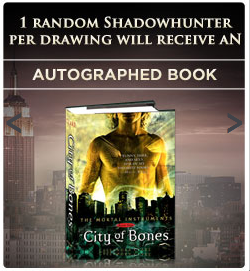 I also, enjoy seeing the way we draw runes on each other or wear black at Cassie's signings. Our fandom is respectful, and quiet, and so patient (especialy in France! Lol). Our fandom could be a shield against hatred. Our fandom is so open minded and peaceful I totally identified myself in those values. And our fandom is also so creative. I few words to describe us would be: Artists. Dreamers. Amusingly Lovely. 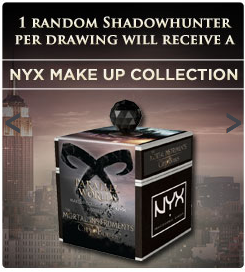 I love seeing how original TMI fans are because when I read something about them I always smile and laugh. And honestly, this is brilliant; our fandom is so incredibly talented. I virtually met fans from all over the world, and this is priceless. 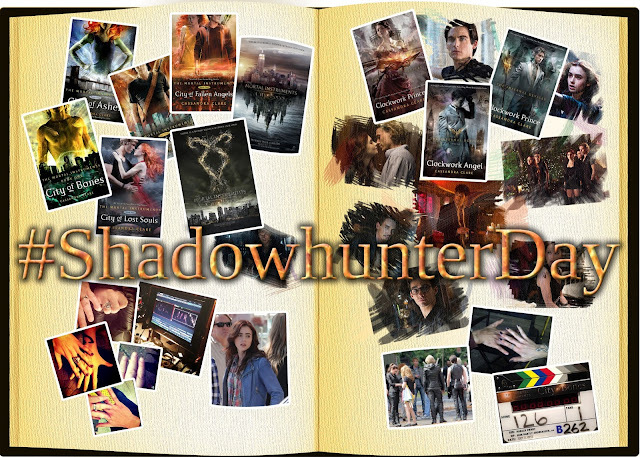 They are the best ever, every shadowhunter. I consider this fandom like a family really, even if it sounds too cliché. 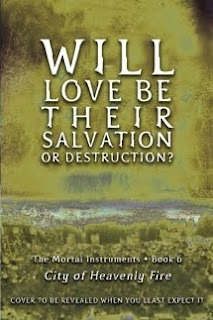 But it's true, I love every shadowhunter; old and new ones. We support each other and laugh/fangirl about our OTP's, and when Cassie or one of the #TMIcast answers any of our questions! When anybody posts something new about the books or movie, we all freak out. I love how spontaneous, crazy and supporting we are! 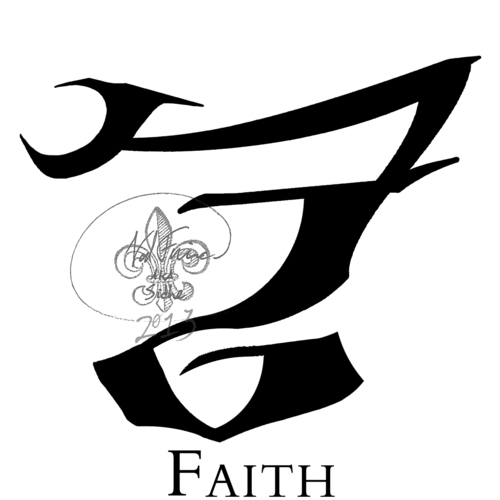 I just love this fandom, this big and awesome TMI Family! My favorite thing about this fandom is that we are so very dedicated. I'm in a lot of fandoms and they are nothing like this one. We stick together. I have met so many great people that I can now call my friends. Shadowhunter, Downworlders or Mundane, we love each other. 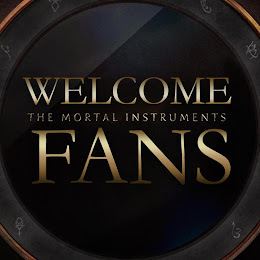 I am so proud to be apart of this TMI Family. 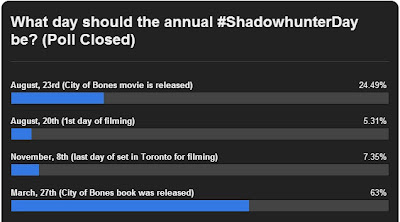 People are very supportive in the #TMIFamily. We have made incredible projects together to share #TMILove with the whole world. 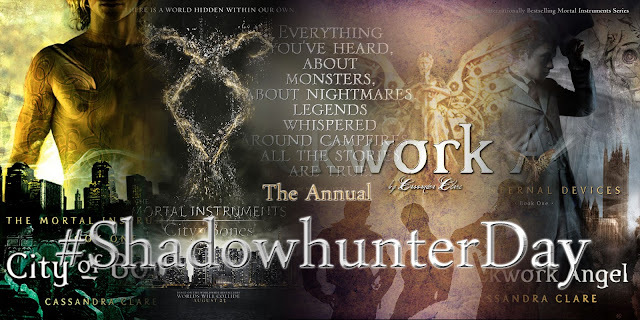 It so great that we will have the annual #ShadowhunterDay on March, 27th because it is the day everything started; it is the day the Shadowhunter world was born. 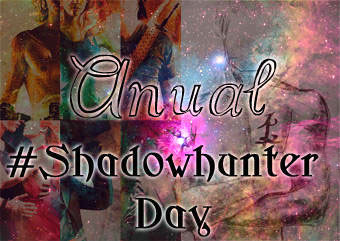 What day should the annual #ShadowhunterDay be?